The Minister of Power, Works and Housing, Mr. Babatunde Fashola, tuesday inaugurated six people that were in 2016 nominated by President Muhammadu Buhari and cleared by the Senate to be commissioners of the Nigerian Electricity Regulatory Commission (NERC), thus ending the board vacancy that existed at the NERC for about 14 months. The new commissioners who were sworn in by Fashola in Abuja, were however without a substantive chairman, and they included Sanusi Garba (Vice Chairman), Musiliu Oseni, Dafe Akpeneye, Okafor Nwoye, Nathan Shatti, and Moses Arigu. Prof. Akintunde Akinwande, a professor in the Electrical Engineering and Computer Science Department of the Massachusetts Institute of Technology (MIT) was nominated alongside the six by Buhari to be chairman of the commission but he allegedly rejected the offer and so was not screened for confirmation by the Senate. The tenure of the last board of commissioners for NERC who were led by Dr. Sam Amadi ended in December 22, 2015, and while it took the government this long to appoint a new board for the regulatory agency, Dr. Anthony Akah acted as the head of the commission within the period. Fashola said the inauguration of the new commissioners would now allow the Ministry of Power to concentrate its energies on making policies for the sector, as well as complete ongoing power generation and transmission projects in the country. He asked Akah to handover the management of NERC to Sanusi who as vice chairman would run the commission in the absence of a chairman. “For those who asked, when will NERC be constituted? NERC has now been constituted. 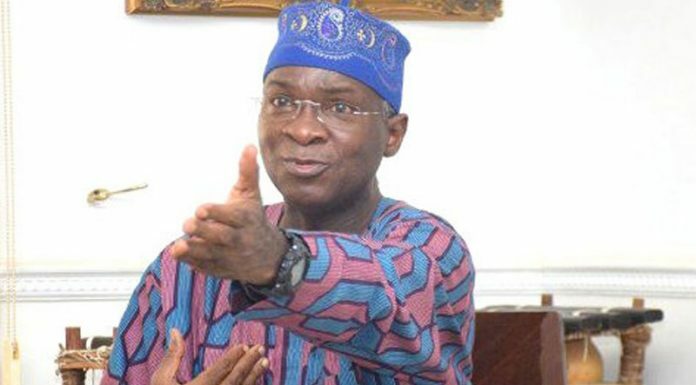 It has been constituted pursuant to the nomination of qualified Nigerians by Mr. President and the confirmation by the Senate and those Nigerians have just taken the oath of office,” said Fashola. He further stated: “I particularly welcome their arrival for many reasons. It provides the stability in governance and regulatory actions and institution building that the sector clearly would benefit from. “I would like to thank Dr. Anthony Akah who acted in capacity of CEO (Chief Executive Officer) of NERC for about a year, his service to his country is highly appreciated and he must now as a very good team player, hand over to the vice chairman and his fellow commissioners and return to his normal schedule of duty,” the minister added.